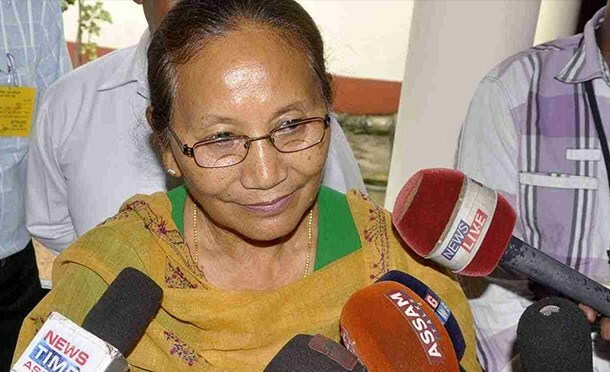 Assam Social Welfare Minister Pramila Rani Brahma on Thursday held a meeting with Golaghat Deputy Commissioner Gaurav Bothra, Superintendent of Police Manabendra Dev Ray, Additional SP Dhruba Bora and reviewed the progress of police investigation into the case of assault on an Anganwadi worker last week under Kamarbandha Police Station in the district. Earlier, the Minister checked on the patient at the hospital and met the attending medical team and took stock of her health condition. Meeting with members of the Anganwadi workers’ association of the district, the Minister said the heinous crime would not be taken lightly and asked the police to prepare a strong chargesheet so that the criminal is awarded appropriate punishment and at the same time ensure that there is no lapse on the part of the police while conducting the investigation. The Minister also asked the police to ensure security of the victim’s family members. Superintendent of Police Manabendra Dev Ray said the police would seek fast-track trial of the case and would work to ensure that the guilty is brought to book. Secretary to the Government of Assam, Social Welfare, Sajeeda Islam Rashid, Deputy Director, Monidipa Saikia, ICDS and Programme Officer, Manjuri Borthakur, Deputy Director, Social Welfare, DSWO, Smriti Rekha Dutta Baruah, CDPO Nitul Goswami and other officials of Social Welfare Department were present in Thursday’s meeting.